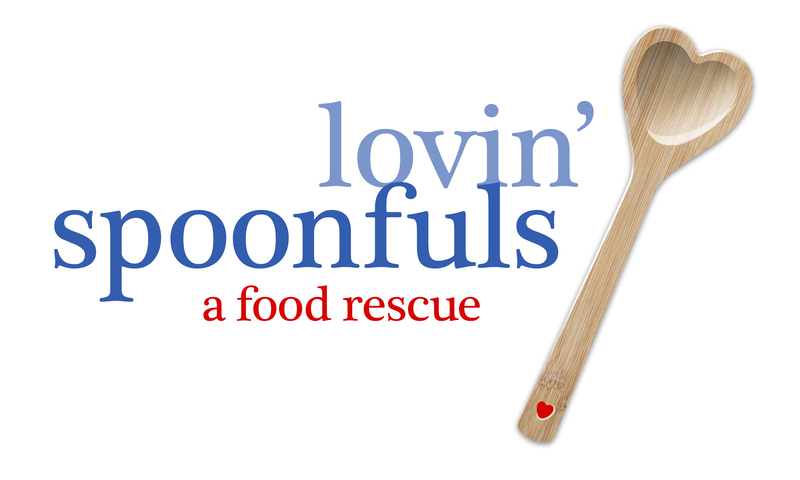 Lovin’ Spoonfuls: We pick up and distribute healthy, fresh food that would otherwise be thrown away from grocery stores and restaurants, and distribute it to homeless shelters, after school programs and senior centers in the Eastern Massachusetts community. Q: How did you come up with this impactful idea? Lovin’ Spoonfuls: Our founder, Ashley Stanley, came across some statistics on food waste and the numbers were staggering. She approached stores such as Whole Foods, Trader Joe’s, Stop & Shop and other partners that were willing to give her food. Six years later, we are a team of 11. 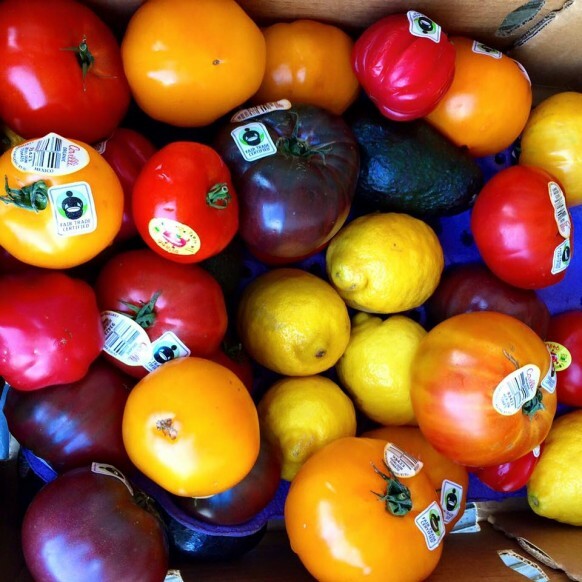 Q: How is your food rescue model different than a food bank? Lovin’ Spoonfuls: Perishable food is our focus. We rescue bread, eggs, fruits, veggies, frozen fish, lean proteins and whole grains that were intended for retail sale but did not get sold. Our model (nonprofit food rescue) connects food to community nonprofits that feed Greater Boston’s hungry. Q: How do you rescue the food? Lovin’ Spoonfuls: We have a fleet of six refrigerated trucks; Each day our trained drivers collectively pick up more than 5,000 pounds of food from our donors. They start distributing the food in the afternoon to over 100 agencies. It’s delivered the same day as we have no storage facility. Everything happens in the trucks and the trucks are our business. Q: Why did you choose the Isuzu NPR-HD for your organization? 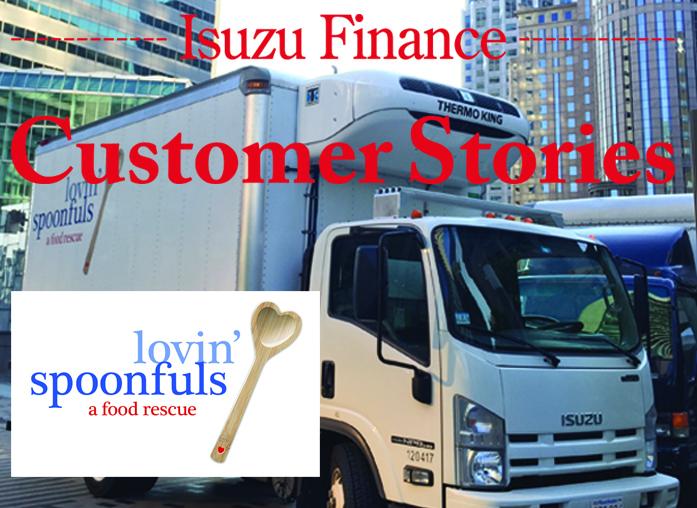 Lovin’ Spoonfuls: We use the Isuzu NPR-HD with a refrigerated van body because they’re easy to maneuver and park on city streets, and they can hold the capacity of food that we carry. Fifty percent of our deliveries are in downtown Boston. It took us a while to see what works for us. Q: Why did you lease your trucks with us? Lovin’ Spoonfuls: We like the ability to work with Salami’s, our Isuzu dealer, on service and maintenance. As we grow we can’t pull our trucks out of operation. We have no backup and that would be a larger headache, so leasing is less risky. We’re a women-led company and Salami’s makes it easy to do business. They don’t bring that we are women-led to the table and that’s refreshing! They’re very helpful, communicative and understand that we’re trying to feed people and get us in and out fast. Q: What can consumers do right now in their own homes to stop food waste? Lovin’ Spoonfuls: We’re supporting the Ad Council on a “Save the Food” public service campaign to get consumers to take a few simple steps in their own homes. To learn more: click on SaveTheFood.com for household tips on storing food, meal planning and shopping guidelines that you can use today. To learn more about Lovin’ Spoonfuls go to: www.lovinspoonfulsinc.org.